Hip Hop has come a long way in its short life. In the 70s, Hip Hop focused primarily on beats, then the 80s and 90s became more lyrical and the 2000s became very mainstream. Critics constantly say that the 2000s began the demise of Hip Hop because it became too watered down, but these critics are focusing on the wrong artists. There are several underground artists who incorporate old and new school to create a blend of music that sounds amazing. The group “Brockhampton” is a perfect example of artists who are continuing to keep Hip Hop alive and fresh. Their newest album “Saturation II” just further demonstrates their creativity and is all in all an amazing album. One of the reasons why Saturation II is worth recognizing is because of the members of the group. Brockhampton is a rap group consisting of eight different members, each bringing different elements to the album. In Hip Hop today, the number of solo artists far outweighs the numbers of groups, though Hip Hop began with groups, so it’s nice to see the art form make a circle and come back to its origins with groups. Furthermore, one of the most famous members of the group, Kevin Abstract, is gay, which is extremely rare in the rap world. Even so, he continues to rap about his life as a gay black man and what that all entails, and these songs can be heard in Saturation II. Listening to the album in order is extremely interesting. The first few songs, “Gummy,” “Queer” and “Jello” are all fast-paced bops that are fun to listen to. They each have a heavy bass that very much resembles the rest of the music today. That is not to say that the songs are unoriginal, but rather that they are something that their audience is comfortable with and used to, therefore they can enjoy it easily. As the album progresses, the songs begin to slow down and vary. There are short songs that are basically interludes such as “Scene,” “Jesus” and “Scene 2.” The “Scene” interludes are completely in Spanish, and “Jesus” is a short, freestyling rap. Including the interludes, there are 16 songs total on the album. As previously said, the first three songs on the album are fast-paced, and they are my favorite tracks for several reasons. The main reason is that that they are simply fun. Each song has a simple beat that is quick enough to dance to, and they seem like songs that people would play at a party. The songs also feature several of the group members rapping, and listening to their different flows is very interesting. Each song has several lyric heavy verses, which is reminiscent of 90s rap, but they also have a catchy chorus, like most of today’s music. It’s also refreshing to hear rappers performing without being autotuned. Auto tune takes all of the originality out of a performer’s voice, and without it they all sound amazing. Because of these factors, “Gummy”, “Queer” and “Jello” are my favorite tracks. There are a couple songs that I appreciate because of the lyrics, but the beat is disappointing. These tracks include “Teeth,” “Fight” and “Sunny.” The beats sound too plain and computerized, which simply makes them sound as if they were cheaply produced. It’s unfortunate, because these songs feature some of the best lyrics of the albums. They include lyrics about being black, growing up in white neighborhoods and schools and staying in tune with their culture. Had the lyrics been paired with a better beat, the songs would easily have been my favorite. With all of these things in mind, I would give Saturation II four out of five stars. The only reason I wouldn’t give it a five is because of the songs that I think are boring, but I can still appreciate them. Anyone who considers themselves a Hip Hop fan should definitely give this album a listen, and even those who don’t should still branch out and listen. 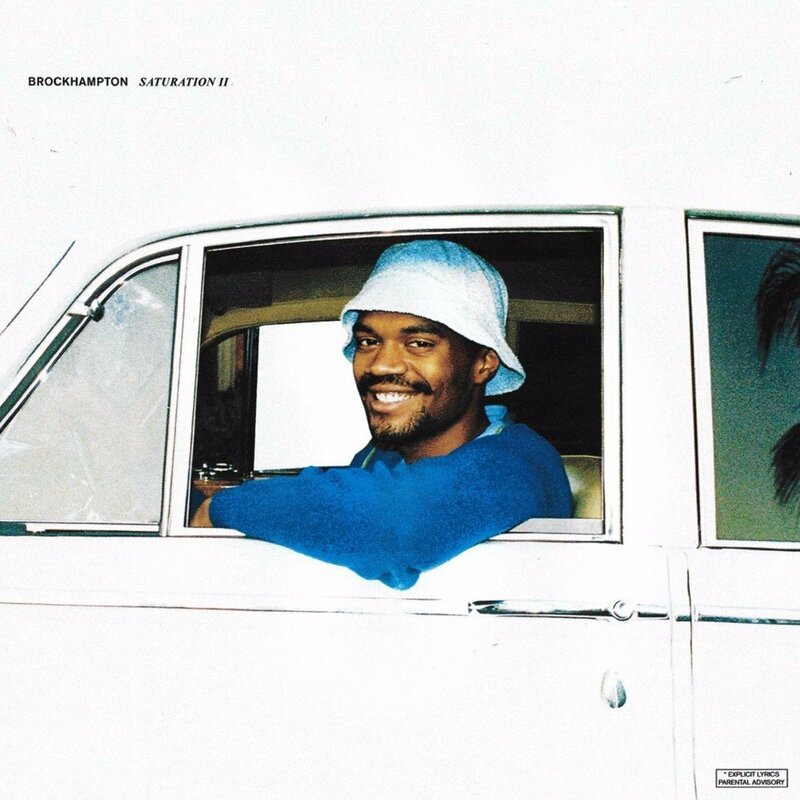 Saturation II leaves the listener wanting more, and at the rate that Brockhampton releases music, the listener won’t have to wait long.